The city has received an application for an 18 storey building at this corner of James & Martha. Just before Christmas, nine development applications were filed with the city for Official Plan and/or Zoning amendments, five of these in Ward 2. A complete list is below. City staff are working to open a webpage for each project, post application materials, and schedule a neighbourhood meeting. More information and links will be posted here when available. At the end of this article is some information about how the recent Ontario Muncipal Board changes and proposed Official Plan might affect these applications. 1. Solid Gold 71 Plains Road Inc. 53 & 71 Plains Road E. & 1025 Cooke Blvd. OPA & RZ 505-11/17 & 520-22/17. Replacement of 8 rental townhouses with 50 stacked rental townhouses. 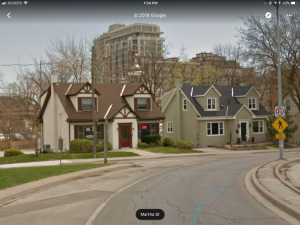 You may be wondering if these applications will be affected by recent changes to the Ontario Municipal Board, and the status of the city’s proposed new Official Plan. Regarding the new Official Plan, staff have advised that once it is approved by Council, it must go to Halton Region for final adoption. During this period, any existing or new applications will be subject to the existing 2008 Official Plan policies; however staff will also review all applications in light of Council’s 2017 approved planning position. It’s all about more $$$$$$$$$$$$$ for the City…It appears that any aestheticly appealing vision for our city has been deserted. 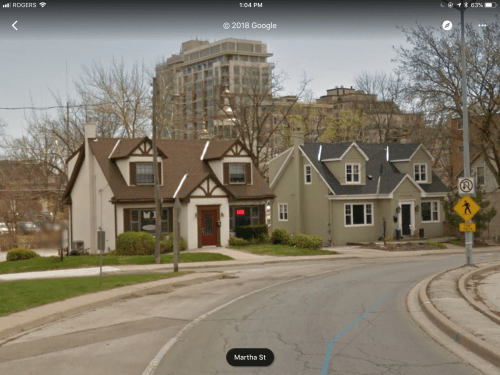 Ward 2 was aesthetically pleasing and inviting but now with more towers and townhouses? Not so much! Sorry to say, Marianne. Other building plan ideas could have been pursued but weren’t. More is not always better for the residents and tax PAYERS. On the last paragraph in this newsletter item, staff are already reviewing these applications in light of the Unapproved Plan. Look at the staff reports, and look at the developer proposal planning justifications to see this kind of language. Then look at approvals on Brant and Plains Rd, for example, and see how the existing OP is amended to reflect just this unapproved language and rationale. Then look at developer proposals and see the same thing. This new OP does not yet exist legally, but it is being used anyways. I should have added that on the very important development and intensification policy of “compatibility”, which includes 13 criteria, is intended to be applied in the context of the in force existing OP – that is compatible with what exists – and not in the imagined, non-existent context of some planning documents that have not received public vetting or Council approval, and have no policy implications, as they do not yet exist. Unfortunately these unofficial documents form a major component of the planning justification documents of both staff for approvals, and developers in applications. How is this justified as good planning? You are so correct in your thinking Tom. As I have said the height numbers listed in the OP that have not been approved are already being discussed and on the table with the Developers and out in the open in conversation. What kind of business is this? The belief that the pubic forums are just a formality is very evident and all this needs to be an election issue. OMG!! Haste is sure disaster for waste! I strongly believe “less is more”, and it seems that too much, too fast is on the city planning tables that will just be put through the motions as quickly as possible with no thought of infrastructure even beginning to handle a quarter of this development. Rome wasn’t built over night, and I think more thought, than immediate time lines for approval, should be the number one priority. The after shocks of moving forward too quickly, will be a disaster in waiting. Just stop…. this is horrible we are loosing housing to unfordable ugly condo’s. Now that we know what’s going in at Easterbrooks is there a plan/rumour for the old bowling alley on Guelph Line? No applications have come in yet.